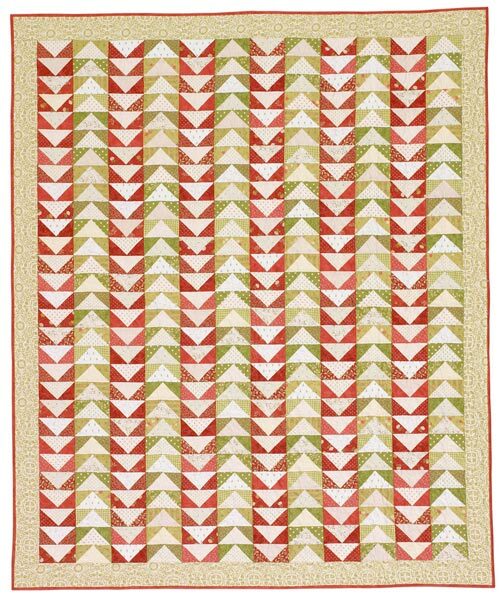 The simple Flying Geese unit can indeed soar in style. 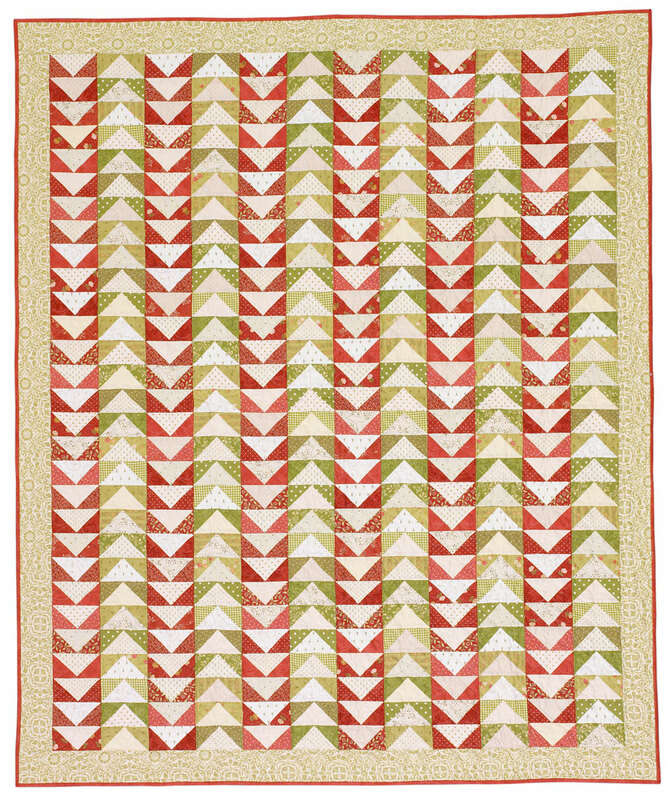 The color of each unit in this scrappy throw dictates its flight pattern. 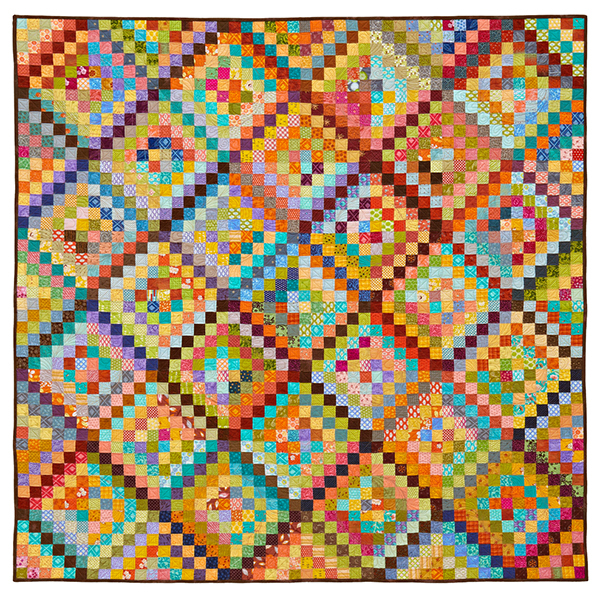 Finished quilt: 54-1/2x64-1/2". 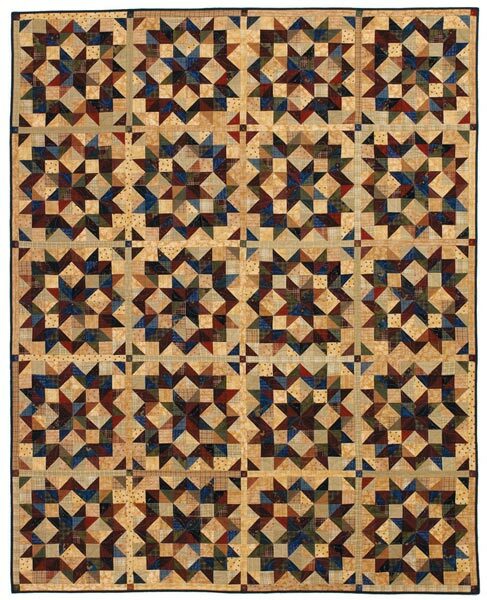 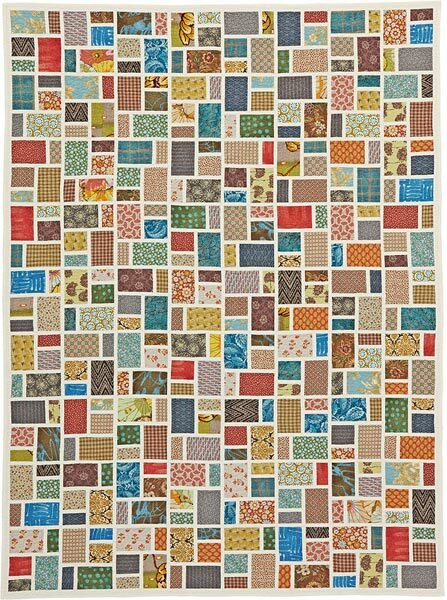 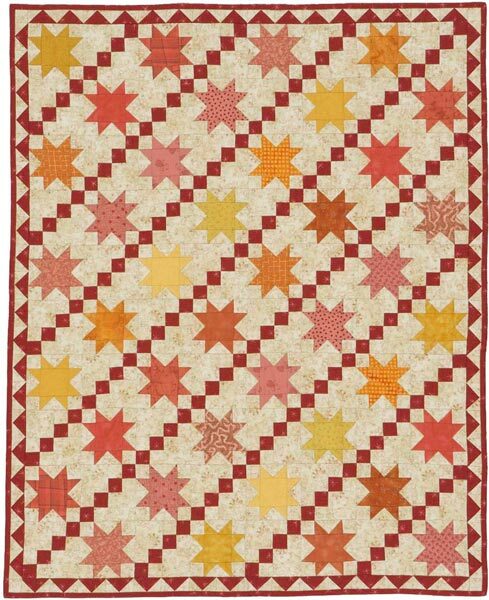 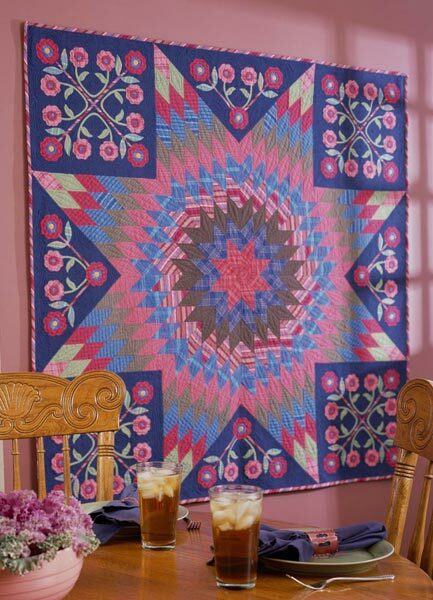 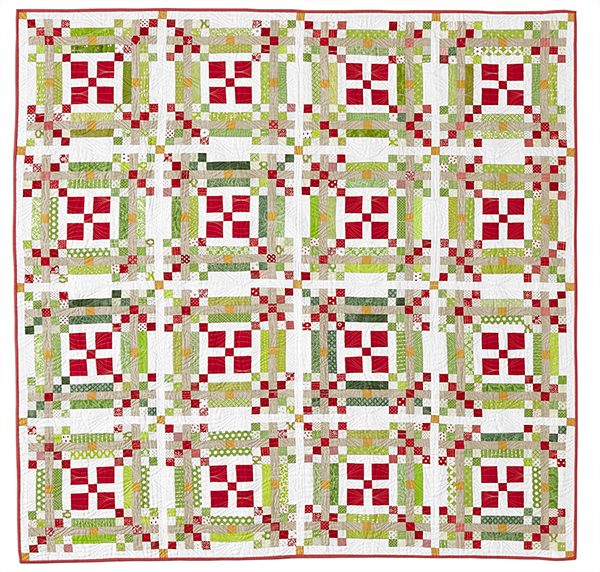 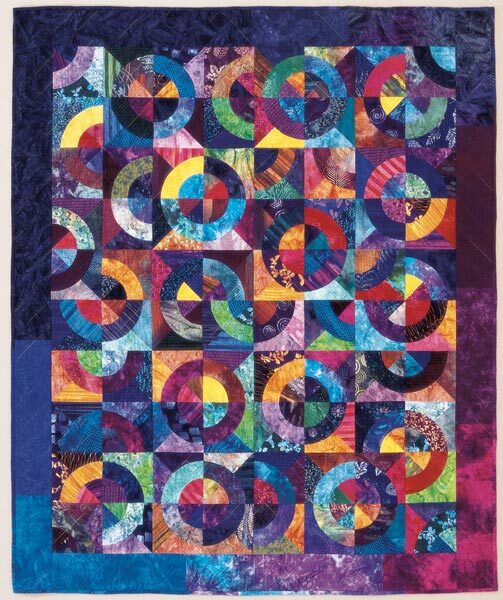 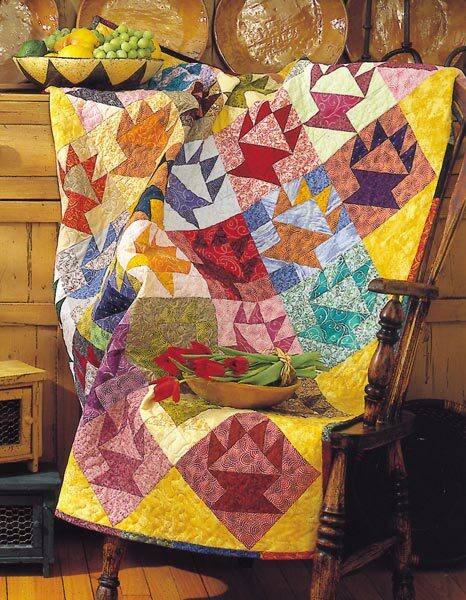 Designer: Joanna Figueroa of Fig Tree Quilts.